A German Shepherd is typically a healthy breed of dog with an average lifespan of 12 to 16 years. 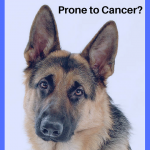 A well-bred German Shepard will usually not have any serious health problems; however, all German Shepherds are susceptible to a few health conditions. Health conditions may include; canine hip dysplasia, Von Willebrand’s Disease and/or skin allergies. What follows are a few health care tips for your German Shepherd for optimum health. One of the most important things you can do for the health of your German Shepherd is feeding him a healthy, well-balanced diet. 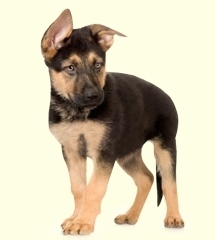 German Shepherds are very active, so they require plenty of protein in their diet. Fresh meats such as chicken, beef, and turkey are excellent sources of protein; however, they also need a balance of vegetables, eggs and rice included in the diet. It is best to avoid wheat, corn or rice, as these foods may be difficult on his digestive system. The amount of food your dog eats depends on his activity level, but the average is about three total cups of food per day, and any uneaten food should be removed after about thirty minutes. Avoid feeding your German Shepherd any foods that contain additives as they are difficult to digest and will only produce unhealthy calories. German Shepherds require regular exercise to prevent boredom as well as to help reduce symptoms of arthritis or hip dysplasia. You should take your German Shepherd for daily walks and let him outside play at least twice each day. If you notice he is having difficulties walking or moving, it is important to take him in for an examination to make sure he is not experiencing hip dysplasia. Over time, without the proper treatment, hip dysplasia can lead to muscle waste, especially in the leg of the affected hip. It is important to routinely spend a few minutes checking the German Shepherd for any signs of a potentially dangerous health problem. Some of the signs you should look for in his overall general health include lack of coordination, increased aggression, loss of appetite, loss of water consumption, weight change, bloated abdomen, gagging, coughing and change in muscle tone. The feet should be checked daily for abrasions, damaged pads, and nail problems and check the skin daily for hair loss, red spots, parasites, and sores. The eyes, ears, and nose of your German Shepherd should be checked on a daily basis, and if you notice anything unusual, it is important to have him examined by the vet. Eyes should be checked for discolored whites, discharge, squinting, cloudiness or pupils that are unequal or unresponsive. The ears should be checked for redness, excessive scratching, and bad odor. The nose should not have any discharge, change in color or crusted top. Good oral hygiene is also important to prevent other serious health problems in your dog.Check the mouth for red, swollen or bleeding gums, bad breath, sores on the tongue and loose or dirty teeth. Brush his teeth regularly and have them checked by a veterinarian about every six months. 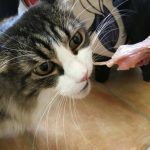 It is also beneficial to talk to the vet for recommendations on treats that will also help to keep his teeth and gums clean and healthy. One of the most important things you can do for the health of your German Shepherd is to make sure he is up to date on all of his shots and vaccinations. Schedule yearly health checks with the veterinarian and if you notice any changes in your dog’s behavior or activity take him in for a checkup as soon as possible. Guest Writer: +Neil Kilgore is a dog lover and the Jack (Russell) of all trades at Greenfield Puppies in Lancaster Pa. 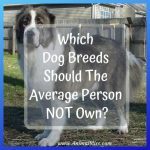 He regularly blogs about breeders and dog care tips on the Greenfield Puppies website. I got very informative information about German Shepherd from here but my daughter Anne want to know more about German shepherd chihuahua mix. she loves black German Shepherd so much. would you please give me some info of this Dog breeds. Nice post, covering almost all the major problems of German Shepherd dogs. I must say nice job! To make this post more informative, I would like to add my views. According to me, there is an another major problem which every owner faces is hair shedding. For curing this, proper grooming of the dog should be done on daily basis and should also take take regular bath to avoid such problems. 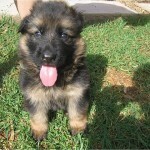 I have also written a post on purebred German Shepherd puppies. Hope you people read. Thank you for your comment, Harvey, and for reading my care tips for German Shepherds. You’re right, another major issue with these dogs is shedding. I used to refer to my Star as my “German Shedder.” It was never-ending, even with daily grooming. I will hop over to your site now and read your article about GSD puppies. Take care! My cousin just adopted a German Shepard, I will pass these great tips on to her! Thank you for stopping by, Patrycja! I have not a dog like German Shepherd but as i told you in previous that i have Tommy my pet dog, also my best friend and really i i use these kind of health tips for care him. 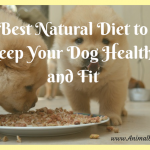 I am happy that you are able to use these kinds of health tips for your dog. Thank you so much for taking the time to visit my blog. 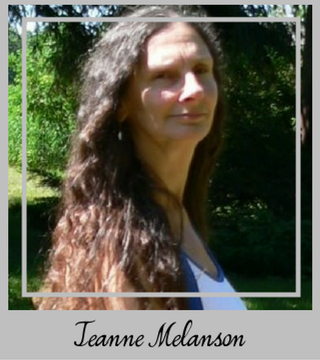 Thanks for these wonderful tips Jeanne. I did not realize they lived so long. What a beautiful breed. As a kid, I use to be afraid of these dogs. My neighbor had one and he was so big and barked a lot. You have educated me and I appreciate it.